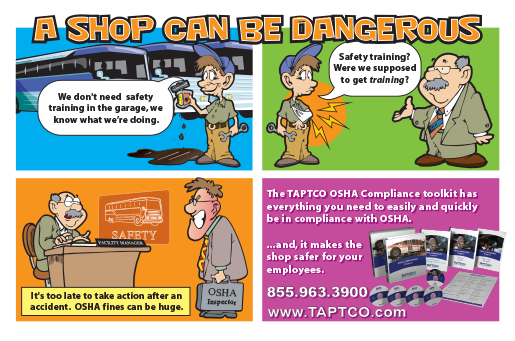 Working in the shop involves many hazards that can injure or even kill an employee. OSHA requires that all reasonable steps be taken to protect the employees working in the shop and can take action to enforce compliance with their safety requirements. This may involve substantial fines and even stronger actions, such as jail time or closure. 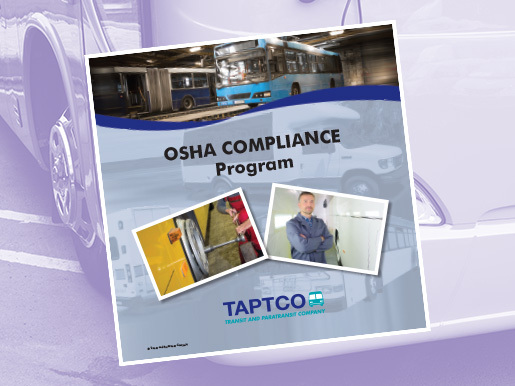 This course includes an easy to follow process guide that allows you to document all motorcoach driver training and actions provided and only takes around six hours each year to be in compliance. The Process Guide includes action plans and checklists with step-by-step instructions detailing what you must do to be in compliance.